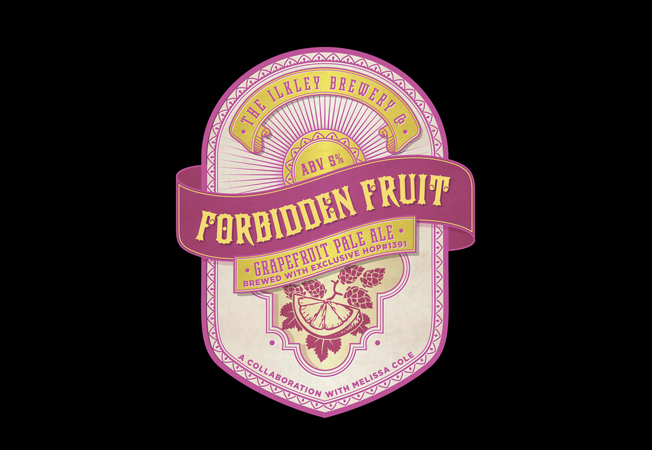 Brewed using a new British hop which has been developed exclusively for Ilkley Brewery, Forbidden Fruit is the latest beer created by the West Yorkshire brewery in collaboration with Melissa Cole. A 5% grapefruit India pale ale, Forbidden Fruit features hop #1391, a brand new English variety, grown this year by Charles Faram hop merchants in Worcester. With expert involvement from renowned beer writer and sommelier, Melissa Cole, the beer’s citrus notes are enhanced with the addition of extra pink grapefruit to make a golden coloured and aromatic refreshing pale ale. “For many years now, British brewers have looked to countries like America and Australia for their hops which are famed for being aromatic and the vital ingredient for distinctive beers with great flavour characteristics.